Mother’s day is coming up, and in case you are looking for something awesome for your own mom (or want to drop a couple hints to your husband) here are some things that would make great gifts. 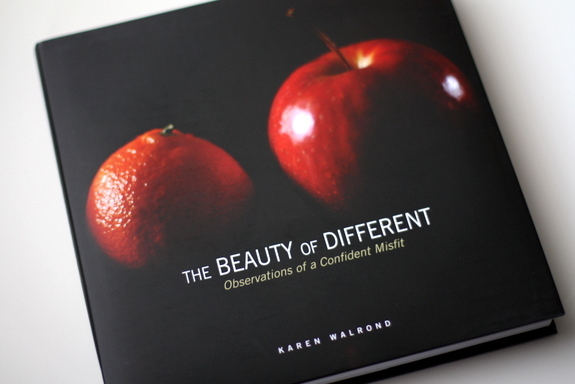 I’ve been following Karen Walrond’s blog Chookooloonks for quite some time, and I knew her book would be full of her stunning photography. What I didn’t expect, though, is that it would be such a powerful emotional and spiritual guidebook. The Beauty of Different addresses, those aspects of ourselves that make us individuals are actually the source of our own beauty, our super power. Combining beautiful imagery, portraiture, insightful commentary, essays, and interviews, this multisensory exploration of what is really beautiful provokes deeper self-discovery. This is the perfect gift for women of any age. I am a total fangirl of the bits! 31 Bits jewelry is handmade in Uganda by impoverished women who are able to support their families with your purchase. And the necklaces are really, really cute. I wear mine all the time. They have pieces from $10-$54. A photo book is always a meaningful gift, especially for the mom who is now a grandma. You can create the perfect brag book with Picaboo, (Right now, they have a buy one, get one free offer on their classic photo books – going until May 9th.) I just ordered my first book with Picaboo – you can read about the experience at Mama Manifesto – and keep watching because we are going to be giving away a great Picabook gift in the coming weeks. PunJammies by International Princess Project are sari-inspired pajamas made by women in India, empowering them with an opportunity to learn a marketable skill and become a part of a viable business.. Every Punjammie purchase creates, a fair trade wage, deposit into a savings account, financial support for holistic care, and capacity building for more women to enter the after-care center. I swore I would never be that person who walks around with a Bluetooth handset in their ear. And I still won’t – but I must confess that I LOVE my Bluetooth for talking on the phone while I drive. The Jawbone ERA Bluetooth Headset* looks like nothing I’ve ever seen before – their styles are both small and feminine, and are the perfect accessory for a multi-tasking mom. If you have an expectant or new mom in your life, forget the What to Expect Will Go Wrong When You’re Expecting series, and hook them up with a little humor with Let’s Panic About Babies! by Alice Bradley & Eden Kennedy. This book is a satirical and informative, and the anecdote for the anxious mom-to-be. For the mom who loves her iphone like her fifth child (cough), consider a new iphone case. The Case-Mate iPhone 4 Madison Case* is equal parts edgy and sophisticated, in quilted black leather embedded with Swarovski crystals. For a unique gift, check out the pottery at Luna+Reece. Andrea is an artist who combines both vintage and modern design in her pottery, and she is also has small canvases of her work for an incredible price. If you are local to Orange County, you can find her work at The Camp and at Fleur De Lys in Costa Mesa. If you want to send an edible treat, check out Woodhouse Chocolates. * Their handcrafted treats are like the Tiffany’s of chocolate (complete in a pretty blue box) and they are shipped out in a cooler to keep them the perfect temperature. Their classic assortment includes flavors like Fresh Mint, Thai Ginger, Amaretto Almond, Praline Noisette, and Raspberry Chambord (my favorite). And last but not least, give your mom the gift that keeps on giving – a Freetalk Buddy Cam for easy skype calls with the grandkids. What are you buying your mom this Mother’s Day? What are you hoping to get? Mark is taking me to see the play God of Carnage on Sunday night. I’m not ashamed to say that a little night away from the kids is a very nice gift! *Items with an asterisk were submitted to me for review, those without were items I own and love. All were included at my discretion because I like them.